Above: Dancing at Star Island, September, 2004.
a place of much and varied beauty! David Millstone just sent me the following link to a seven-minute piece from WMUR (channel 9) on Visiting Star Island. Check it out! Here’s the Registration Flyer in two different forms, followed by important instructions. Instructions: Important ~ Please Read Carefully. 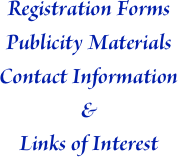 ★Registration Procedure, Flyer Page 2 contains everything you need to know. Please read it carefully! ★Make sure: (1) Sign where requested; (2) write out a check for the correct (not full) amount. Please help distribute the Publicity Flyer, suitable for display at dances. ★Star Hampshire 2010 publicity flyer. Standard 8.5 x 11 paper, PDF format, suitable for display at your local dances - spread the word! Here are the official organizers; we can thank them for the continued existence and success of the Weekend! Here are a few links that will be of interest in learning more about the Weekend, about Star Island; and for those of you who already know about it, for reminding yourself of what a marvelous place it is and what a great time the weekend is. Star Hampshire Sample Program (2009 Weekend). This should give you a good idea of what to expect in the way of programmed activities. There are more gaps than you might expect, but it’s such a wonderful place to be that you’ll want those gaps. Star Island Corporation Home Page. The Star Island Corporation owns and runs Star Island and coordinates all the conferences that occur there, of which Star Hampshire is one. From their web site you can learn a lot more about the island and you can get an aerial tour of the island in a slide show. Star Hampshire Photo Pages. I’ve assembled two pages, one for 2003-2005 and one for 2006. 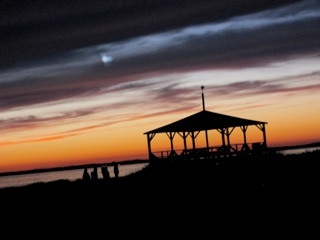 You can’t go wrong with photos of Star Island! This is the Main Photo Page; check out some of the other Photo Pages while you’re there. Star Hampshire Archival Page, 2009. This is a recreation of the original 2009 page for reasons of enjoyment, curiosity, and historical interest. Staff Information. Here is some information about the 2010 Star Staff, courtesy of David Millstone. Rick Mohr, formerly of Boston and now in Philadelphia, is a popular dance caller who has appeared at major festivals, weekends, and dance camps around the country. A prolific and creative composer of contras and squares - and some dances that combine both forms in one - he also is a musician (fiddle, melodeon), a morris dancer (founder of Commonwealth Morris Men), and a dancer and teacher of rapper sword dance. 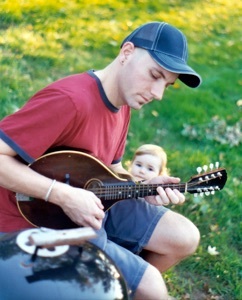 Dave Langford, a founding member of the popular band The Latter Day Lizards, also performs with the mega-fiddle band Childsplay and with Big Bandemonium. 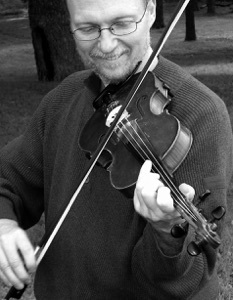 Dave is an experienced and versatile fiddler and guitarist and fiddle teacher from the Boston area. Dave combines multiple styles of fiddling with fierce energy and drive. He has been a staff member for music and dance weeks at Pinewoods, Buffalo Gap, Ogontz, Augusta, as well as dozens of weekend long events around the country. 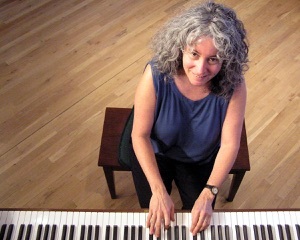 Karen Axelrod plays piano for English, American and Scottish dance and has been on staff at numerous dance events around the country. Highly regarded for her creative and powerful piano accompaniment, she also plays accordion for the renowned longsword team, Orion Longsword. A regular at CDSS camps, she is frequently asked to host camp gatherings because of her quick sense of humor. She plays in the band Foxfire (with Daron Douglas), and when at home in Northampton, MA, she is a professional dog walker. 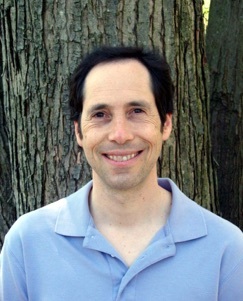 Peter Siegel, (mandolin, guitar) is a longtime member of the Greenfield Dance Band, playing regularly for that long-running dance series with caller David Kaynor. He has been a regular staff member at Dance Musicians Week at the John C. Campbell Folk School in Brasstown, NC and he's been on staff, too, at CDSS American Week at Pinewoods (and Family Week at Ogontz). He is also a talented songwriter, and he'll be sharing some of his songs with us throughout the weekend. 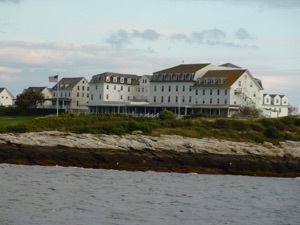 Star Island: Star Island is part of the Isles of Shoals, several miles off the coast of New Hampshire. As our coastline is only 18 miles long it’s not hard to find. Transportation is by boat. Starting in 2010 we’re back to Portsmouth Harbor traveling on the Thomas Laighton. It’s surrounded by the ocean, and home of a turn of the (last) century resort hotel with a large porch on three sides looking out over the ocean and with many comfortable rocking chairs. Thus, if you’re not dancing or engaged in other activities, you can hang out in a rocking chair and socialize and watch and listen to the ocean. What Happens: Star Hampshire is a relatively small weekend of music and dancing, with a relaxed schedule and a friendly social atmosphere. 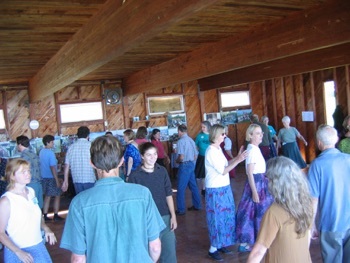 There’s lots of good dancing, but there’s also time to walk around, explore, socialize, hang out on the rocking chairs, and take advantage of the other possibilities associated with the island. ★The Music. There’s generally one caller and one or two bands; the staff is chosen with care so that they are able to put on an excellent, varied program. ★The Dancing. The emphasis is on New England contras and squares. In addition there’s generally some additional programming, depending on the skills of the staff (e.g. 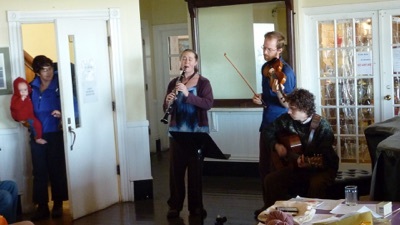 singing, English country dance, Balkan dancing, etc.). ★The Program. The weekend features evening dance parties, daytime workshops, staff concerts, and more depending on the staff. Sometimes we can take advantage of activities of other conferences (e.g. singing, yoga) and sometimes they join us for dancing; all by permission of course. There are jam sessions, workshops, and there’s a waltz session before breakfast. ★Dancing! Did I mention that already? There are generally between 50 and the maximum of 80 dancers each year. The dancing is fun, tending to be on the traditional side but with some modern dancing, and some unusual dances thrown in since it’s possible to get away with that with people who have been dancing all weekend! The final dance on Sunday is on the hotel porch; what a nice place for a final dance party! We do sometimes have members of other conferences join us; and we invite the Pelicans (Star staff) to join us for the evening dance. What they lack in polish the more than make up for with enthusiasm! ★Nondance events include the chapel, singing sessions, jam sessions, social hour, staff concerts and more. Here’s a description of the chapel from David Millstone; many consider it to be one of the highlights of the weekend. “You can participate in a memorable camper-organized non-denominational chapel service by climbing in silence to the historic stone meeting house and sitting in candle lantern light as dancers and musicians share tunes, songs, stories, and poems.” And of course don’t forget hanging out on the wonderful porch in a rocking chair by the ocean as one of the more enjoyable experiences in life. ★The Unexpected! Since it’s on an island interesting things can happen. Major storms have blown up causing people to have to be very careful, go indoors, etc. Hurricanes have forced cancellation of some or all of the weekend or at least worry about whether it would occur on more than one occasion. On the other hand, it’s hard to beat seeing the Northern Lights from Star Island, and watching the waves; especially during a storm. It’s a great place to hang out, which is why there’s more free time built in to the schedule than in most other music and dance weekends and why no one complains about it. Star Hampshire was started and run pretty much completely by Patrick Stevens for its first 16 years. That would have been a remarkable enough accomplishment in itself, but along with that Patrick was the chair of the Ralph Page Dance Legacy Weekend Committee for several years, organizer of the Kittery Dance during the earlier period, photographer, swimmer, father, husband, even managed to work full time on top of all that, and who knows what else he did! He did everything with an amazing amount of energy and enthusiasm. He always was coming up with ideas for Star Hampshire and for the Ralph Page Weekend. Of course not every single one was good, but a large proportion of them were. The Star Hampshire Weekend, like the Ralph Page Weekend, has always had a more traditional feel to it than most dance weekends and festivals - and when I say that I mean it in the very best way. It has a relaxed, friendly atmosphere (how could it not in such a wonderful place? ), excellent music on the traditional side but always exciting, and the same with the calling and the style of dancing. Perhaps it’s the location; how can you not have a sense of history and tradition when you’re completely surrounded by it? It was also partly because Patrick encouraged that sort of atmosphere in a variety of ways, and because so many of us who attend the weekend lean in that direction. Certainly we do modern dances; and when we have people like Rod Miller as musicians no one could complain that the music is old-fashioned or anything! But out on that island how could you not have a sense of historical perspective? Take a look at the photo pages and you’ll see what I mean! Sadly Patrick’s heart wasn’t as strong as the rest of him, and he died of a heart attack in December 2007. We had a small gathering on Star Island in his honor the folllowing year (2008) on the usual weekend, and there was discussion of the idea of reviving the weekend. It is with great joy that under new leadership we returned for a real, full weekend in September 2009, knowing that the Star Hampshire Traditional Music & Dance Weekend really would continue; although it was impossible not to notice Patrick’s absence. But I have’t the slightest doubt that Patrick would have been glad to know that we’d be out there the next year and hopefully for many more years dancing. Sadly there is no report this year because we didn’t go to the Weekend. It was a difficult decision, but there was a conflicting event of interest to us as musicians and not having perfected the art of being in two places at once yet we went there. But while there was no doubt about wanting to be where we were, it was very difficult not to be on Star. It’s a decision I hope not to have to make again for a long time! Dance Master: Rick Mohr - Contras, squares, couples dances, and more.